I am not a betting man by nature, but sometimes the only way you can decide on a piece of audio equipment these days is to do as much research as possible and then take a punt. Such as the case when researching for a new preamp to replace my Supratek Cabernet Dual. The Coincident Statement Line Stage (CSLS) kept cropping up as a seriously good linestage. I concentrated on independent reviews from Stereomojo , Enjoythemusic.com, and audio-activity.com and contacted the reviewers with a series of questions. I finally emailed Coincident and received a speedy reply from Israel Blume, President of Coincident. I am happy to report that this level responsiveness continues after the sale is made. The CSLS price is $5499 US delivered door to door – customer pays for any brokerage and taxes. If this was to be sold through a distribution and dealer network, the price could easily be doubled. 1. 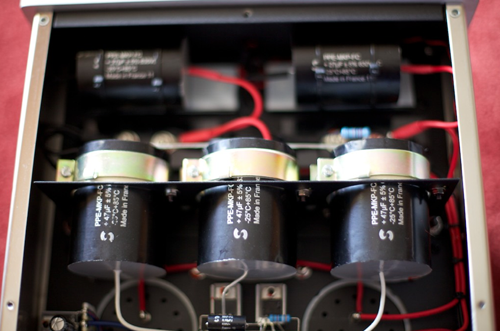 CSLS uses directly heated triodes -101D tubes in the active gain stage . No other tubes are used. 4. All coupling is by transformers. This means transformer quality needs to be top notch – and indeed it is. Coincident have their transformers custom made by a specialist Japanese company using supermalloy cores. 5. Power supply is massive and is capable of powering a 100 WPC amplifier. 6. Balanced wiring throughout– Although 101D's are single triodes , Coincident have utilised balanced wiring throughout the line stage. I have read a technical description on the internet about how this could be achieved but the official word from Coincident is - "Without divulging proprietary design topology, we use a completely novel and innovative technique to create a truly balanced circuit without compromising the purity of a single DHT tube". Although there is a 200 hour recommended burn in time, out of the box it was apparent that this preamp is something special. The first thing I noticed was the focus, level of detail, 3D imaging and massive soundstage – it is simply in a different league to anything I have had in my system before. The CSLS tonal balance is highly transparent and neutral which allows the natural timbre of the music to fill that huge sound stage. On well recorded music, violins for example sound naturally sweet and organic without adding any flavour. Overall the CSLS is more suitable to a wider range of music which can be sometimes compromised by distinct sonic signatures imparted by equipment. The CSLS is very fast and dynamic – something not often associated with tube preamps. It has deep, extended and well defined bass without any hint of bloom that can afflict some tube designs. 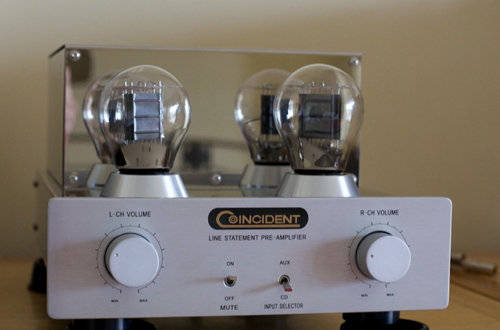 It seems eminently suitable to drive SS as well as tube power amps, particularly where people may have had concerns with the drawbacks of conventional tube preamps. The CSLS has 2 volume pots and I was going to mention the lack of remote control could be a deal breaker for some. 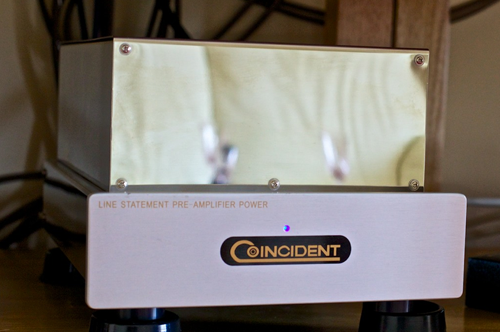 However, Coincident have now released a remote control version using a high quality conventional stereo potentiometer. It is the same price as the CSLS but apparently has a slight performance compromise that would happen in any case where conventional pots are used. Edited by Tasso, Today, 02:03 AM.